I read with interest about the May 14 decision by the European Court of Justice to apply a Spanish “right to be forgotten” law to Google. A number of European countries have such laws. The test case privacy ruling by the European Union‘s court of justice against Google Spain was brought by a Spanish man, Mario Costeja González, after he failed to secure the deletion of an auction notice of his repossessed home dating from 1998 on the website of a mass circulation newspaper in Catalonia. The ruling creates a process for individuals to request search engines to delete posts. The SE would then consider the request weighing the individual’s concerns with the public’s right to know. An individual unhappy with the SE’s decision could appeal to the ECJ. The ECJ decision highlights the issue they present and the prescriptive approach they identify as inadequate to the task. Various sources have identified all the challenges and dangers this ruling presents. K&D’s approach is hard to imagine in operation. Dueling discourses such as security/privacy, creativity/control, efficiency/accommodation illustrate the implications of all this. The problem with remembering has always been letting go. The problem with forgetting is never knowing what is forgotten. We think that there must be a way to manage this kind of thing, all we need is a system. I will follow the progress of this rulings effects with interest. The next section of Kitichin & Dodge’s Code/Space I want to consider begins with chapter 5, Automated Management. I will use “govern” for any kind of management structure, both private and public. 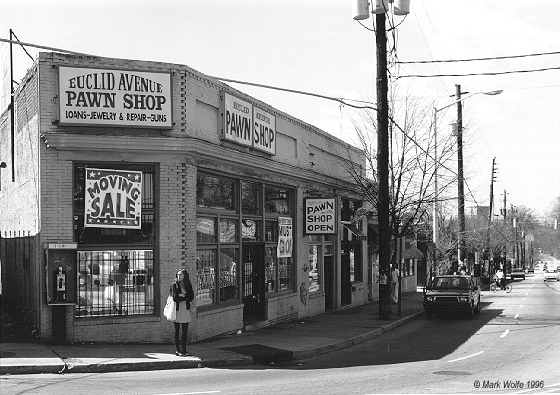 Put simply, automated management is the regulation of people and objects through processes that are automated (technologically enacted), automatic (the technology performs the regulation without prompting of direction), and autonomous (regulation, discipline, and outcomes are enacted without human oversight) in nature…On the one hand, software is being used to create more effective systems of surveillance and, on the other, to create capture systems that actively reshape behavior by altering the performance of the task. Automated management thus works in a different way compared to other modes of governmentality, creating a situation where “code is law”. K&D discuss how of all this is largely invisible to causal, and to some extent, focused scrutiny. It’s business as usual to the governed. The capture and recording of people data is increasingly the default, excessive to the immediate task, embedded in “dumb” technologies, and shifting from intermittent to continuous, mobile and networked. This is mostly acceptable to most people. K&D write, “It is quite difficult to argue that one wants to be less safe, less secure, less competitive, less productive of less empowered.” At the same time, these data practices are largely invisible to individuals who are therefore unable to choose whether or not to participate. The use of such data may harm both individuals and society. At the same time it is clear that code can contribute to creativity and empowerment for its users. K&D then consider examples in the arts (music and photography), academics, social media, mapping and political organization and engagement. They point to the tension between code’s ability to enable new possibilities for creative and political purposes while also enabling “greater state scrutiny and corporate monitoring”. In the three following chapters, K&D consider in detail the construction of code/space in air travel, the home and the consumption of goods. Through these examples they concretize how code transmutes space and illustrate the positives and negatives of coded environments. These detailed and nuanced discussions are well worth the reading. For my purposes here, I will only point to them. As I mentioned previously, K&D’s website links to their papers leading up to Code/Space including those corresponding to these chapters. I plan one more installment of this series/review to discuss their conclusions and how they propose to resolve the tension between code’s benefits and dangers. Continuing my consideration of Kitchin & Dodge’s Code/Space I want to focus on their treatment of code. They describe how the scale and scope of code’s ability to process information makes a qualitative change from previous human tool bearing. Code then possesses a degree of agency, the ability to “shape to varying degrees how people live their lives”. This agency is relational. It arises both from its interactions with objects and humans, and from its ability to adapt to evolving conditions to form a “technological unconscious”. This relational sense of instrumentality combined with a vision of space itself produced by social relations and material practices creates code/space. Each element is necessary for its functioning. When code and space are both present, but not intertwined the result is coded space. Here code provides an augmentation to the space’s functioning. The space retains its functionality (less efficiently perhaps) even if its coded objects stop coded operation. Code/space then might be thought of in terms of the converging parallel lines I discussed in Part 1 of this series. The development of coded infrastructure and practices have achieved an informational mass, a gravity, that curves the space in which it occurs. This has enabled the lines of code and space to converge and interact as code/space. In the book, K&D discuss code interacting with all of these discourses in a variety of ways. In following posts I hope to sketch out at least some of them. One of Euclid’s “Five Common Notions” forming the basis of his geometry is “The whole is greater than the part”. Euclid sought to develop his account of space based on ideas he could not prove, but seemed so obvious that no proof was needed. Indeed, a study published by the National Academy of Sciences about an Amazonian tribe suggested that geometric reasoning is innate. Well almost. Euclid’s Fifth Postulate, asserts in effect that parallel lines don’t intersect. (Actually it describes how non-parallel lines do so.) Euclid’s contemporaries were suspicious of this idea and our Amazonian friends understood more frequently than Westerners that this is not true on curved surfaces. And of course, spactime does not conform to Euclid’s description which is functional only in local areas where curving spacetime, intense gravitational fields or the curvature of, say, a planet does not come into play. 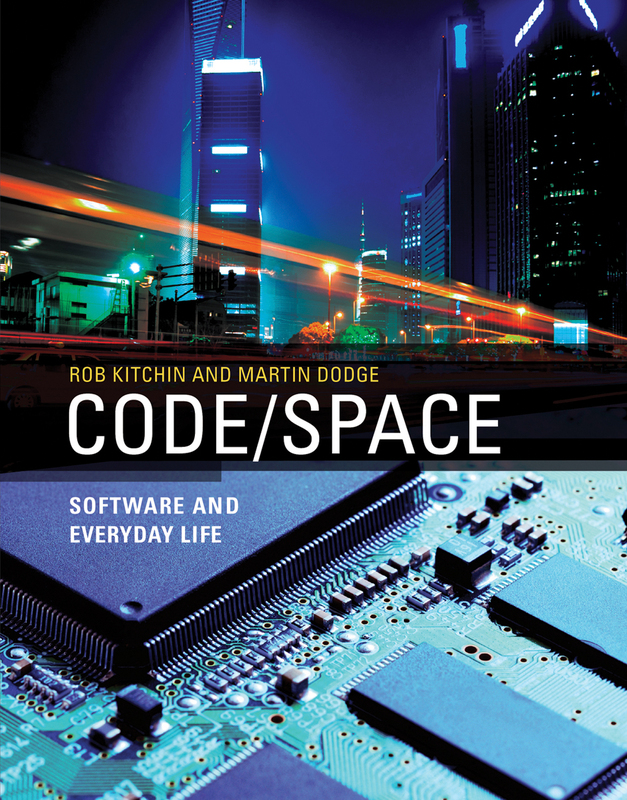 I recently finished reading Code/Space by geographers Rob Kitchin and Martin Dodge (MIT Press) which discusses how applied software transduces space. (Their website links to many of their papers leading up to their book and some of the quotes I use will be from these rather than from the book.) This prompted me to meditate on space in general. Euclid seemed a good place to start. This absolute ontology of space is essentialist in formulation. It effectively reduces space to its geometric essence and depicts that essence as natural and given. They note that this allows one to think of space either as metaphor or container, social or apart from the social, outside of time or fundamentally temporal, always in a state of becoming. 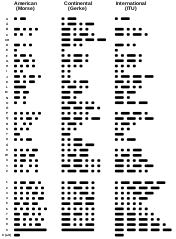 Reformulating this a bit, we can think of each set of these binaries as parallel lines, as local functionalities that apparently never intersect but in fact do. I find this an interesting way to think about binaries in general. Nature/culture; body/mind; subject/object each as a set of lines seemingly never meeting in a local, functional context, but that inevitably do. Anyway, D&K explore the way coded objects and process (ie technicity) transduce space. In general, a transducer converts one form of energy into another. So as I understand it, D&K discuss how technicity converts one form of space into another. I hope in subsequent posts to further explore the ideas in this book.